Richard J. “Jerry” Dodson’s passion for collecting maritime art and antiques began in 1977 when the LSU Law graduate bought an antique ship’s wheel and compass in Greece. Forty years of collecting has resulted in an extraordinary assemblage of maritime artifacts and ships’ passports and sea letters, documents signed by Presidents of the United States and used by American sailing vessels for foreign journeys. The collection likely represents the most complete collection of American ships’ passports and sea letters in the world. Other antiques and maritime artifacts in the collection include a carved ship’s head, binnacle, telegraph, ship’s wheel, and bell. Mr. Dodson graduated from the LSU Law Center in 1966. 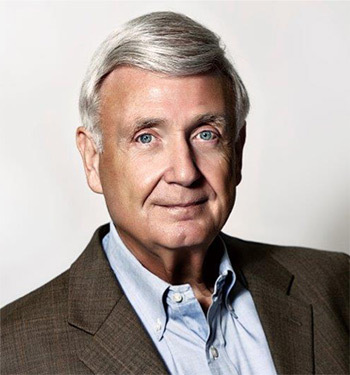 Among his many accomplishments, he is most proud that he co-founded the Baton Rouge-based Dodson & Hooks law firm. The firm is one of the world’s leading maritime law firms. As a maritime and admiralty lawyer, his focus has been on representing foreign seafarers in claims for violations of their rights, personal injury, death and wages claims for incidents upon the waterways and vessels of the world, and for repatriation. Mr. Dodson was one of the first international maritime personal injury lawyers in the state and one of the few to focus on collecting unpaid wages for crews on foreign ships. The firm’s clients include individuals, companies, unions and conglomerates across the world, including those from Russia, China, Japan, Philippines, Poland, India, Chile, Ukraine and others. He has been a member of the LSU Law Center’s Board of Trustees for many years and a sustaining member of the Law Center’s Dean’s Council. He is an advisor and frequent presenter at the Center’s annual Rubin Maritime Law Seminar. For over 30 years, he served as an adjunct professor of law at Tulane University School of and Southern University School of Law. In addition, he taught internationally in summer schools in Greece from 1987 – 2016. His courses included International Maritime Law; Admiralty; Jurisdiction and Choice of Forum; and Offshore Personal Injury. Mr. Dodson is a sought-after lecturer at maritime seminars in the United States and Europe, having lectured twice at the International Maritime Organization-International Maritime Law Institute at the University of Malta Law School and at the 3rd Maritime World Conference and Exposition in Panama, and at Thessaloniki, Greece. The Maritime art collection is a complement to the LSU Law Center’s Dodson and Hooks Endowed Chair in Maritime Law, a 2017 gift from the Dodson and Hooks law firm. “I was very fortunate to go to a civilian law school,” said Dodson, noting that most of the international maritime cases he works are structured around civilian law taught at the LSU Law Center. “With more than 20 percent of the local economy dependent on shipping from the Mississippi River and oceans that harbor more than half a million vessels, the concentration has allowed me to see the world . . . The maritime law area . . . gave me the first steps into these international cases … It’s been a fun career, and it’s all thanks to being able to get a law degree at LSU and study maritime law there,” he said.